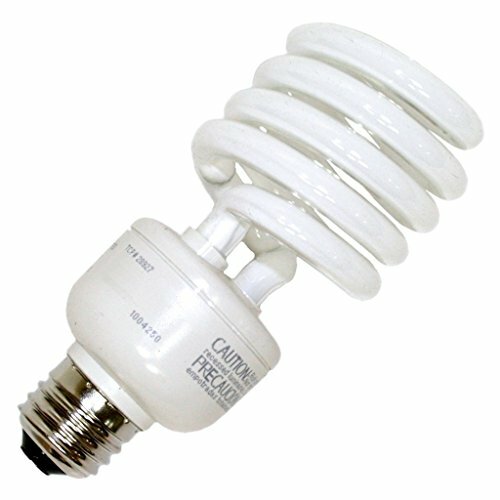 TCP 27 Watt compact fluorescent replaces 100 Watt incandescent light bulb. Ideal for homes, restaurants, hotel lobbies, and boutiques. Suitable for floor lamps, table lamps, wall sconces, ceiling fans, and most places where traditional lighting sources are used. DO NOT USE IN totally enclosed, glass trim covered, recessed downlights. Such use voids manufacturer warranty. If you have any questions about this product by TCP, contact us by completing and submitting the form below. If you are looking for a specif part number, please include it with your message.